Paolo Baglieri is one of the most prominent personalities of his generation. Acclaimed as “a pianist that perfectly mixes his personal view with the composer’s ideas”, he is the winner of many international piano competitions. He has performed in Italy, France, Belgium, Netherlands, Spain, Austria, Palestine, Israel and Chile for over 300 concerts in some of the most important concert halls: Taormina, Catania, Lucca, Rome, Turin, Pistoia, Bologna, Verona, Castle of Galeazza, Salzburg, Amsterdam, Rotterdam, Paris, Brussels, Castle d’Ursel, Haifa, Jerusalem, Madrid, Santiago of Chile among others. He has been the piano professor at the Conservatory of Music of Jerusalem and he taught in Pavia and Siena Conservatories in Italy. Invited as jury member of international piano competitions, as Treviso, Paderewski International Piano Competition, Madrid, Yerevan, Clavicologne, Malta International Piano Competition, German Piano Open Competition of Berlin, Eurasian Music Games of Astana, International Music Competition Moscow Piano Open, among others. Currently he holds the position as President and Artistic Director of the prestigious italian academy Talent Music Master Courses of Brescia. He is Artistic Director of Talent Music Summer Courses&Festival. 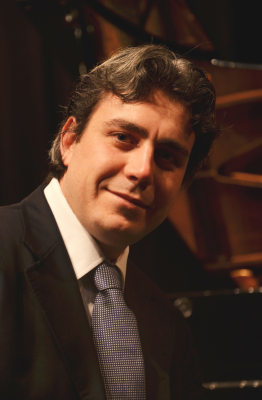 He is Artistic Director and Chairman of the Jury of the “Brescia Classica International Piano Competition”. Born in Italy and graduated at Catania Conservatory, he took his following degrees at “Codarts – University of Arts” of Rotterdam and at Ecole d’Enseignement Superieur de Musique, de Danse et d’Art Dramatique “Schola Cantorum” of Paris. Major influences in his musical development were studies with Pavel Gililov, Gabriel Kwok, Benedetto Lupo, Boris Petrushansky, and Sergio Perticaroli. Brescia Classica International Piano Competition © 2019 All Rights Reserved.